There is lot of buzz out there that there was no Mecca and no Muhammad in the history of Islam but it is all stories and stories written as facts of Islam. Every religion has myths and there is no reason not to believe Islam is also filled with myths but if Muhammad was not there and Mecca was not there then Islam is nothing but a wild story gone wrong.. The Cat in FFI has done great job in these threads. 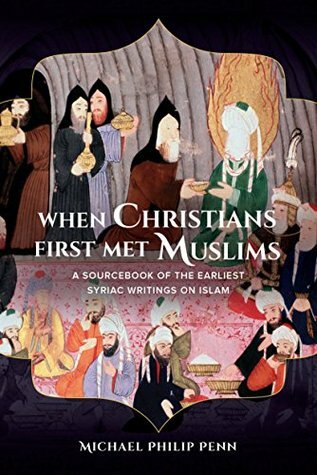 So let us start a thread here to learn on this fascinating twist early history of Islam.. As far as I now Patricia Crone, Ph.D., is the first one who challenged the traditional views of early Islamic history during her Ph. D thesis..
let me add a bit from her article published in 2008 What do we actually know about Mohammed? Everything else about Mohammed is more uncertain, but we can still say a fair amount with reasonable assurance. Most importantly, we can be reasonably sure that the Qur'an is a collection of utterances that he made in the belief that they had been revealed to him by God. The book may not preserve all the messages he claimed to have received, and he is not responsible for the arrangement in which we have them. They were collected after his death – how long after is controversial. But that he uttered all or most of them is difficult to doubt. Those who deny the existence of an Arabian prophet dispute it, of course, but it causes too many problems with later evidence, and indeed with the Qur'an itself, for the attempt to be persuasive. The Qur'an does not give us an account of the prophet's life. On the contrary: it does not show us the prophet from the outside at all, but rather takes us inside his head, where God is speaking to him, telling him what to preach, how to react to people who poke fun at him, what to say to his supporters, and so on. We see the world through his eyes, and the allusive style makes it difficult to follow what is going on. One thing seems clear, however: all the parties in the Qur'an are monotheists worshipping the God of the Biblical tradition, and all are familiar – if rarely directly from the Bible itself – with Biblical concepts and stories. This is true even of the so-called polytheists, traditionally identified with Mohammed's tribe in Mecca. The Islamic tradition says that the members of this tribe, known as Quraysh, were believers in the God of Abraham whose monotheism had been corrupted by pagan elements; modern historians would be inclined to reverse the relationship and cast the pagan elements as older than the monotheism; but some kind of combination of Biblical-type monotheism and Arabian paganism is indeed what one encounters in the Qur'an. The so-called polytheists believed in one creator God who ruled the world and whom one approached through prayer and ritual; in fact, like the anathematised ideological enemies of modern times, they seem to have originated in the same community as the people who denounced them. For a variety of doctrinal reasons, however, the tradition likes to stress the pagan side of the prophet's opponents, and one highly influential source in particular (Ibn al-Kalbi) casts them as naive worshippers of stones and idols of a type that may very well have existed in other parts of Arabia. For this reason, the secondary literature has tended to depict them as straightforward pagans too. The most sacred spot on earth to all members of the Islamic religion is the Holy City of Mecca, revered as the birthplace of Mohammed. It is one of the five basic requirements incumbent upon all Moslems that they make (if their health will allow it) a pilgrimage to Mecca once in their lives (the other four: Recognize that there is no god but Allah and that Mohammed is Allah's prophet, observe the month of Ramadan, ritually pray five times a day, and give alms to the poor). The evidence for this is "the earliest and most famous biography of Mohammed,� the "Sirat Rasul Allah" (The Life of the Prophet of God) of Ibn Ishaq. The dates given for Mohammed's life are 570-632 AD. Ibn Ishaq was born about 717 and died in 767. He thus wrote his biography well over 100 years after Mohammed lived, precluding his gaining any information from eyewitnesses to the Sira, as they would have all died themselves in the intervening years. However, no copies exist of Ibn Ishaq's work. We know of it only through quotations of it in the History of al-Tabari, who lived over 200 years after Ibn Ishaq (al-Tabari died in 992). Thus, the earliest biography of Mohammed of which copies still exist was written some 350 years after he lived. Dr. Patricia Crone, who received her doctorate under Prof. John Wansbrough at the University of London's School of Oriental and African Studies, was Lecturer in Islamic Studies at Oxford and Cambridge and is currently History Professor at Princeton University, is an example. In her book, "Meccan Trade and the Rise of Islam," Dr. Crone demonstrates that Islam did not originate in Mecca. Agreeing with her is Islamic historian Mohammed Ibn al-Rawandi. He observes that it took some 150-200 years after the Arab Conquest, which began in the 620s, for places that had gone unremarked and unregarded to become places of reverence associated with the prophet. Mohammed's supposed birthplace in Mecca, for example, was used as an ordinary home until al-Khayzuran, the mother of the first Caliph of Baghdad Harun al-Rashid, made it a house of prayer some 150 years after Mohammed's death. For an increasing number of Islamic historians, the tradition of Mohammed being the source and explanation of the Arab Conquest, wherein Arab tribesmen on horseback emerged out of the Arabian deserts to conquer Syria, Mesopotamia, Persia, Afghanistan, Egypt, Libya and Spain in less than 80 years (636-712), stands history on its head. The myth of an original orthodoxy from which later challengers fall away as heretics is almost always the retrospective assertion of a politically dominant group whose aim is to establish their supremacy by appeal to divine sanction. This applies to the Arab Conquest, says al-Rawandi, because for some 200 years the Arab conquerors were a minority amongst a non-Moslem majority. For al-Rawandi, Islam is an invention for the purpose of providing a religious justification for Arab imperialism. The Conquest is the reason and explanation for Islam, not the other way around. Once the Arabs had acquired an empire, a coherent religion was required in order to hold that empire together and legitimize their rule. In a process that involved a massive backreading of history, and in conformity to the available Jewish and Christian models, this meant they needed a revelation and a revealer � a Prophet � whose life could serve at once as a model for moral conduct and as a framework for the appearance of the revelation. Hence (Ubu'l Kassim was selected to be the Prophet), the Koran, the Hadith (Sayings of the Prophet), and the Sira were contrived and conjoined over a period of a couple of centuries. Al-Rawandi concludes that the Sira, the life of Mohammed in Mecca and Medina, is a myth, a "baseless fiction." This is the conclusion of a substantial number of serious academic historians working in Islamic studies today. They include Mohammed Ibn al-Warraq, Mohammed Ibn al-Rawandi, John Wansbrough, Kenneth Cragg, Patricia Crone, Michael Cook, John Burton, Andrew Rippin, Julian Baldick, Gerald Hawting, and Suliman Bashear. Yet they and their research are virtually unknown. Not any longer. In committing The Atrocity of September 11, Islamic terrorists did far more damage to their religion than to New York City or the Pentagon. As U.S. Special Forces teams hunt them down and put them to death, they and all the bin Ladens of the Moslem terrorism network should know that the world is soon to learn about the Myth of Mecca. We don't know about the Myth of Mecca because we are afraid to. We, Americans and Westerners and participants of civilization, have been intimidated and frightened into examining the historical truth regarding Islam. Dare to criticize Islam and some crazed ayatollah will issue a fatwah calling for your death. Well, if there is one thing that we must learn from The Atrocity is that we cannot, we dare not, be afraid any longer. The Atrocity was committed exclusively by Moslems in the name of Islam. True enough, President Bush, in his magnificent speech to Congress, said their actions blaspheme and insult Islam. But throughout the Arab world, from cafes in Beirut and Cairo to the streets of Nablus and Gaza, people laughed and celebrated their religion's slaughter of thousands of Americans. So we should feel no need to refrain from exposing that this slaughter was committed in the name of a make-believe myth. The Moslem terrorists who committed The Atrocity have put all of their fellow Moslems on the defensive. We see full-page ads in newspapers taken out by Moslem governments and Moslem organizations, expressing their sympathy and condolences. These are welcomed and their sincerity need not be questioned. Christianity emerged from its Dark Ages when its sacred texts were considered infallible and criticism condemned (often to death) as heresy, to subject itself to historical examination and rational discussion. It is stronger for it. For a religion's strength does not lie in fanatical belief, in an unquestioned assumption that disagreement or criticism of it is an incomprehensible perversion. A religion's strength lies in the goodness it does for people's souls. The claims of Islam do not depend on historical origins, but on an inner knowledge of God, the accompaniment and reward of piety. What makes Islam true is the spiritual life of Moslems, not religious history but religious experience. These are the teachings of a school of Islamic thought known as Sufism. How Islam must reinvent itself to emerge out of the Islamic Dark Ages it has inhabited for the last several hundred years, and join and flourish in the civilized world, is to combine the teachings of Sufism with those of Jadidism, the attempt by Central Asian Islamic scholars 100 years ago to make a revitalized Islam compatible with the modern world. While Jadidism was snuffed by the Soviets, its revival, combined with the inner peace and truths provided by Sufism, could reinvent an Islam prepared to participate and prosper in the 21st century. The combined synergy of Sufism and Jadidism would be the salvation of Islam. Today it stands in dire need of being saved. I hope that dedicated Islamic scholars will appear on the scene to create such a salvatory synergy. In the meantime, none of us any longer needs to be afraid or intimidated by the Myth of Mecca. Al-Rawandi, I.M. Origins of Islam: A Critical Look at the Sources. Prometheus, 2000. Crone, P.M. Meccan Trade and the Rise of Islam. Oxford, 1987. Newby, G.D. The Making of the Last Prophet: A Reconstruction of the Earliest Biography of Mohammed. Columbia, 1989. Wansbrough, J. Quranic Studies: Sources and Methods of Scriptural Interpretation. Oxford, 1977. Warraq, I.M. The Quest for the Historical Muhammad. Prometheus, 2000. So let us add to that another guy Ibn al-Rawandi the earliest a critic of Islam and skeptic of religions. That is the picture wiki puts out..
Abu al-Hasan Ahmad ibn Yahya ibn Ishaq al-Rawandi (Persian: ابو الحسن احمد بن یحیی بن اسحاق راوندی, Arabic: أبو الحسن أحمد بن يحيى بن إسحاق الراوندي‎), commonly known as Ibn al-Rawandi (Persian: ابن راوندی; born 827 CE–died 911 CE, was an early skeptic of Islam and a critic of religion in general. In his early days he was a Mutazilite scholar, but after rejecting the Mutazilite doctrine he adhered to Shia Islam for a brief period of time and later became a freethinker who repudiated Islam and revealed religion. Though none of his works survived, his opinions had been preserved through his critics, and the surviving books that answered him. The book with the most preserved fragments (through an Ismaili book refuting Al-Rawandi's ideology), is the Kitab al-Zumurrud (The Book of the Emerald). Abu al-Husayn Ahmad bin Yahya ben Isaac al-Rawandi was born in راوند Rawand in Kashan, today located in Central Iran or some say in Marv-rud in Greater Khorasan, today located in northwest Afghanistan, about the year 815 CE. According to the Egyptian scholar Abdur Rahman Badawi, Al-Rawandi was born in Basra at the times of the Abbassid Caliph Al-Mamoun. Patricia Crone, born 1945 in Denmark, is a scholar, author, Orientalist, and historian of early Islamic history working since 1997 at the Institute for Advanced Study in Princeton, New Jersey. She is notable as an historian of Islam, who has treated the Koran as scripture with a history, just as there are histories of the Bible. 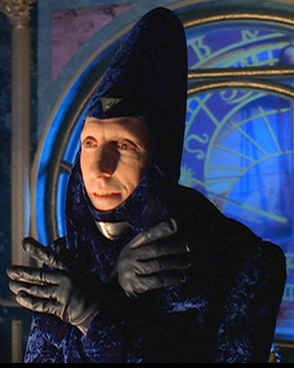 In 1977, Crone became a University Lecturer in Islamic history and a Fellow of Jesus College at Oxford University. Crone became Assistant University Lecturer in Islamic studies and Fellow of Gonville and Caius College at Cambridge University in 1990. She has held several positions at Cambridge since then. She served as University Lecturer in Islamic studies from 1992 to 1994, and Reader in Islamic history from 1994 until 1997. That year, 1997, she was appointed to the Institute for Advanced Study in Princeton where she became Andrew W. Mellon professor. Since 2002, she has been a member of the Editorial Board of the journal Social Evolution & History. In their book Hagarism: The Making of the Islamic World (1977), Crone and her associate Michael Cook, working at SOAS at the time, provided a new analysis of early Islamic history by studying the only surviving contemporary accounts of the rise of Islam, which were written in Armenian, Greek, Aramaic and Syriac by witnesses. By using non-Arabic sources, they could study more of the context for the rise of Islam. They argued that Islam, as represented by contemporary, non-Muslim sources, was in essence a tribal rebellion against incursions by the Byzantine and Persian empires. They noted that it had deep roots in Judaism, and that Arabs and Jews were allies in these conquering communities. In her book Meccan Trade and the Rise of Islam (1987), Crone argues that the importance of the pre-Islamic Meccan trade has been grossly exaggerated. She also suggests that while Muhammad never traveled much beyond the Hijaz, internal evidence in the Qur'an, such as its description of Muhammad's polytheist opponents as "olive growers," might indicate that the events surrounding the Prophet took place near the Mediterranean region. A Response to Patricia Crone's book "Meccan Trade and the Rise of Islam" by Dr. Amaal Muhammad Al-Roubi ..
Well David I dive deep.. lol.. I actually have and read through dr. Patricia Crone's work..
Ugh I read through the whole 159 pages. I am not impressed with Al-Roubi omissions from cited sources while accusing Crone of doing the same thing. Pot meet kettle. Al-Roubi should of spent more time reading source material rather than a writing a knee jerk reaction to Crone's work. That is another 150 pages for you to read.. But this will be different ., you will go through that 1st century Islam..
well Patricia Crone research on Islamic history will go long way and I am sure her legacy of enquiring in to the origins of "Myths from Stories" and "Religions from Myths" will continue .. Anyways .. Dawn puts out an article on another Islamic Myth and that is on "Origins of Shia Islam".. let us read a bit of that.. SO many centuries after Karbala, Imam Husain continues to inspire people across the world in many different ways. In fact, his magnetism seems to go beyond ritual and devotion; it speaks to the deepest parts of the human soul and tends to bring out the best in mankind. There are countless examples of how Imam Husain has inspired people towards excellence, to create a better world for mankind and to reject injustice and tyranny. The Imam’s inspirational mission statement before he left for Iraq — in which he expressly stated that he was not taking a stand against the Umayyad state for personal glory, but for betterment of the community — counters the flawed argument by some that suggests that Karbala was a personal, political battle. There was of course a political facet to Karbala: the Imam was doubtlessly opposed to the transformation of the Islamic community into an imperial juggernaut under the Umayyads. However, he was particularly concerned about the moral and spiritual decay of the community under a ruler like Yazid. But let us leave the spiritual and gnostic aspects of the Hussaini struggle for another day; let us focus on how Imam Husain continues to inspire. Poets and sages have throughout history lamented the fact that the Imam, many of his family members and companions were martyred after being denied water for three days. In fact, thirst is a central symbol in all forms of azadari. Today, especially in the subcontinent, people from different communities seek to quench the thirst of others — complete strangers — by offering cool water, milk, sherbet etc at sabeels, in memory of those parched lips. Whether it is volunteers picking up litter at Karachi’s mourning processions, distributing free water bottles at an international cricket match in England, or raising money for literacy campaigns in developing countries, the people behind Who is Hussain? take their inspiration from the Imam. These and other noble acts reflect the spirit of Islam that is oft quoted, but rarely seen in Muslim societies — a spirit that owes a great deal to the Husaini struggle. This spirit is also powerfully manifested during the Arbaeen/Chehlum commemorations in Iraq. Arbaeen is one of the biggest human gatherings on earth; as per the BBC, last year’s event attracted around 17 million people to Iraq, as they marched to Karbala. Yet the Iraqis — again inspired by the Husaini spirit — have done a remarkable job of hosting these visitors, despite their meagre resources and the ever-present threat of terrorism in that barely functioning country. Many zaireen (pilgrims) choose to walk from Najaf al-Ashraf, the resting place of Hazrat Ali, to Karbala. This is a distance of around 80km and can take between two to three days to cover by foot. Other zaireen walk from even farther afield in Iraq, sometimes covering hundreds of kilometres on foot. However, what is truly remarkable is the hospitality the locals extend to those headed to Karbala despite Iraq’s fragile situation. Those who have walked from Najaf to Karbala say it is a life-changing experience. All along the route lie thousands of mawakeb where travellers to Karbala are offered meals, places to rest, medical attention — all free of cost. This is logistically and financially a mammoth undertaking, while the visitors and hosts both know their lives are at great risk considering Iraq’s continuing battle against militancy and terrorism. But there is one major factor that keeps pulling them towards Karbala: the love of Imam Husain. In fact, what is Karbala, other than a manifestation of divine love? In this age of materialism, cynicism and doubt, divine love is the much-needed antidote that makes man realise a spiritual, higher reality beyond his material needs. And without doubt, Karbala is a testament to divine love. As one mourns over the Imam’s sufferings at the hands of the Syrian hordes, the heart is awakened and softened, able to feel the suffering of mankind. In fact every Ashura, the conscience of those who think and feel is shaken out of its slumber and reinvigorated with new life. Man is a forgetful creature; perhaps this is why the divine plan has decreed that Karbala never be forgotten. well that is what QASIM A. MOINI writes on that Husain Myth .. ... Story writers/song writers of Islam write/wrote UNREAL STORIES in the past and present on death/murder/clan wars in Islam.., So let us carefull enquire in to the life of The Life of Imam Hussain (PBUH).. 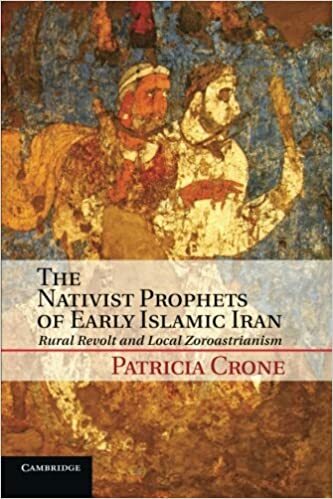 So ..let us look in to the Real life of Imam Hussain.. instead of mythical stories in the future posts..
As far as I now Patricia Crone, Ph.D., is the first one who challenged the traditional views of early Islamic history during her Ph. D thesis..
Point of detail? The late Dr Crone didn't challenge much of those views in her 1974 thesis, which was about the mawla system. The leadup to that thesis became Slaves on Horses and its main part is in Roman, Provincial and Islamic Law. (Source: the forewords to both.) Both books mainly deal with the mawla system too. Dr Crone's first work dealing with the origins of Islam was Hagarism, co-written with Dr Michael Cook. “One cannot pass a judgment on something unless one has a clear conception of it”. Based on this rule, it is meaningless to pass a judgment on Shia unless you have good knowledge about them. It is also meaningless to express one’s opinion on reconciling the views of Sunnis and Shiites without recognizing the nature of both sects. Likewise, it is of no real sense to accept or reject talking about Shia without knowing the reality of the issue, to what extent it is dangerous, its rank as to our priorities and its relation to the multiple variables the Ummah is facing. 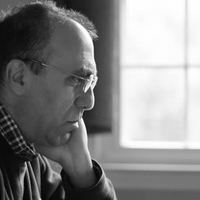 In short, before we proceed to criticize opponents or proponents of Shia, we should first understand who Shia are, what their origins are, what their theological and Fiqhi (Jurisprudential) backgrounds are, what their history is about, what their reality is an what their goals and ambitions are. Only after doing this, we can express our view foresightedly, especially when we know how many people changed their long-believed views and give up their ideas after they had been provided with sound information and clear vision. The issue is not merely that of certain people living in a certain country who have some disputes with neighboring countries. Rather, it is an issue of theological, historical and Fiqhi backgrounds that have to be referred to. Many historians differ on the real beginning of Shia. What is commonly believed by the masses is that Shia are those people who supported `Ali bin Abu Talib during the caliphate of Mu`awiyah bin Abu Sufyan, (may Allah be pleased with him). Accordingly, this means that those who supported `Ali bin Abu Talib are Shia while those who supported Mu`awiyah are Sunnis. Such a notion has never been accepted by anyone. Moreover, Sunnis believe with regard to the dispute that arose between the two honorable Companions that `Ali (may Allah be pleased with him) was on the right, while Mu`awiyah (may Allah be pleased with him) exercised Ijtihad (independent judgment) but did not reach the truth. Thus, Sunnis thought is clearly siding with `Ali. Moreover, tenets, doctrines and ideologies held by Shia are entirely different from those held by `Ali bin Abu Talib absolutely. Therefore, it is incorrect to say that the rise of Shia was at that era. Some historians say that the rise of Shia was after Al-Hussein (may Allah be pleased with him) was martyred. This opinion sounds to be more logical. Actually, Al-Hussein rebelled against the rule of Yazid bin Mu`aweiyah and, therefore, headed for Iraq after his followers there had promised to back him. However, they let him down at the critical time, which led to the martyrdom of Al-Hussein at Karbala. The group of people who invited him and failed to support him regretted doing so and decided to expiate their sin through rebelling against the Umayyad state. They actually did so and a large number of them were killed and thus were called Shia. This might explain why we notice that Shia are more attached to Al-Hussein bin `Ali than to `Ali bin Abu Talib (may Allah be pleased with him) himself. They also, as we can see, mark the anniversary of Al-Hussein’s martyrdom while don not mark that of `Ali bin Abu Talib. However, this sect only rose as a political one opposing the rule of the Umayyad dynasty and backed any attempts to rebel against it. Until that time, they did not hold theological or jurisprudential principles different from those of Sunnis. We will even come to know that earlier leaders whom Shiites claim to be their earlier Shia Imams were only Sunni men adopting doctrines and principles of Sunnis. The situation continued to be stable for months after the martyrdom of Al-Hussein (may Allah be pleased with him). At this period lived Ali Zainul-`Abdin bin Al- Hussein who was one of the most righteous personalities and great ascetic scholars. He has never been reported to have any beliefs or ideologies different from those held by Companions and later generations. Ali Zainul-`Abdin had two sons of a high level of piety and purity, namely, Mohammed Al-Baqir and Zaid, both of whom completely believed in beliefs held by Sunni scholars including Companions and Successors. However, Zaid bin `Ali (may Allah have mercy on him) differed in viewing that `Ali bin Abu Talib was worthier of assuming caliphate than Abu Bakr (may Allah be pleased with him). Although this opinion conflicts with the Ummah’s consensus and contradicts many Hadith that explicitly held Abu Bakr Al-Siddik, `Umar and `Uthman in a higher rank than `Ali (may Allah be pleased with him), this difference of opinion, however, does not relate to doctrinal issues. While he viewed that `Ali was the best, he, however, admitted the high rank of the first three caliphs. He also believed in the permissibility of one less in rank assuming imamate despite the existence of those higher in rank. Accordingly, he did not deny the imamate of Abu Bakr, `Umar and `Uthman (may Allah be pleased with them). Apart from this view, he concurred with Sunnis in theology, principles and Fiqh. Repeating the attempt of his grandfather Al-Hussein bin `Ali (may Allah be pleased with them both), Zaid bin `Ali rebelled against the Umayyad caliph Hisham bin Abdul-Malik, which ended up with his being killed in 122 A.H. His followers then founded a sect based on his ideas, known in history as Zaydiyyah, named after Zaid bin `Ali. Though considered to be a Shia-based sect, Zaydiyyah agrees with Sunnis in everything except in holding `Ali in a higher position than the first three Caliphs. The followers of this sect are mainly in Yemen and they are the nearest Shia sects to Sunnis – even one can hardly distinguish them from Sunnis in most respects. It is worth mentioning that a group of the followers of Zaid bin `Ali asked him about his opinion on Abu Bakr and `Umar. In reply, he supplicated Allah to show mercy to both of them, but those who asked him refused to do the same and seceded from his sect. Therefore, they were known in the history as Rafidah (lit. dissenters) because they rejected the caliphate of Abu Bakr and `Umar on one hand, and rejected Zaid’s opinion on the other. Subsequent generations of such a group founded a sect which was later known as Ithna `Ashriyyah (Imamiyyah) to turn into Shia’s largest sect. Mohammed Al-Baqir, Zaid bin `Ali’s brother, died eight years before his brother (in 114 A.H.) leaving behind a son who became the reverend scholar Ja`far Al-Sadiq. The latter was a prominent scholar and a proficient Faqih (Jurisprudent), who held the same theology believed in by Companions, Successors and Muslim scholars in general. Late at the era of the Umayyad caliphate, the Abbasid movement started activities aiming at rallying people against the Umayyad caliphate. The movement collaborated with the groups which seceded from Zeid bin `Ali and both toppled the Umayyad caliphate in 132 A.H. The Abbasid caliphate came to power headed by the founder Abul-`Abbas Al-Saffah and his successor Abu Ja`far Al-Mansur. Those who collaborated with this movement felt disappointed as they sought to establish a caliphate ruled by one of `Ali bin Abu Talib’s grandchildren. Therefore, those people formed a group called Al-Talibiyyun (lit. proponents of `Ali bin Abu Talib (may Allah be pleased with him) compared to Abbasids who are named after Al-`Abbas bin Abdul-Muttalib) with the aim of staging a coup against the Abbasid caliphate. Until this era, there were no essential theological or jurisprudential violations except that of the criticism of Abu Bakr and `Umar; actually, some of them who seceded from Zaid bin `Ali rejected them and would even curse them in public. Ja`far Al-Sadik died in 148 A.H. leaving behind a son called Musa Al-Kazim, who was also a scholar but less in rank than his father. He died in 183 A.H. leaving behind some sons including `Ali bin Musa Al-Rida. It happened that the Abbasid caliph al Ma’mun sought to contain the rebellion of Al-Talibiyyun who claimed the caliphate for the descendants of `Ali bin Abu Talib rather than those of Al-`Abbas. Thus, he nominated `Ali bin Musa Al-Rida as the crown prince, which fueled a fierce controversy among Abbasids. However, `Ali bin Musa Al-Rida suddenly died in 203 A.H., but Al-Talibiyyun accused Al-Ma’mun of killing him and once again staged successive revolutions against Abbasids just as they did with Umayyads. Anyway, passage of years gave room for revolutions to relatively calm down. Until that time, Shia had not yet adopted an independent religious school of thought to be called Shia. Rather, there were only political movements aiming at assuming power and opposing rulers due to many reasons which did not include such theological reasons as those held by Shia now. Strikingly, such dissenting calls found support on a large scale in the Persian region (currently Iran). Actually, many inhabitants of such a region felt sorry for the fall of the huge Persian empire and its fusion into the Islamic state. They, Persians, considered themselves of a higher race, a better ethnicity and a greater history than Muslims. This feeling led to the rise of Persophilia – an ideology which means giving priority to their race and ethnicity over anything even Islam. Some of them even showed deep adherence to their Persian roots, lock, stock and barrel, even the fire which they once worshiped. As they were not powerful enough to rebel against the Islamic state, and being Muslims for decades, they found the Al-Talibiyyun’s revolutions a way through which they would seek to topple the Islamic caliphate which toppled their Persian state before. In the same time, they did not want to forsake Islam which they embraced for many years. They, however, decided to interpolate it through injecting into it the heritage of the Persian state so as to secure instability within the Muslim Ummah. They kept a low profile, while Al-Talibiyyu maintained the high profile. Bearing in mind that Al-Talibiyyun are affiliated to `Ali bin Abu Talib, are a part of the Prophet’s Household and thus held in a high esteem by people, such people secured continuation of there mission. Thus, attempts of Persophils united with those of Al-Talibiyyun belonging to the Prophet’s Household to form a new independent, not only political but also religious, entity. Back to Al-Talibiyyun, we can see that after the death of `Ali Al-Rida whom Abbasid Caliph Al-Ma’mun nominated as the crown prince, he was succeeded by his son Mohammed Al-Jawad who died in 220 A.H. The latter was also succeeded by his son `Ali bin Mohammed Al-Hadi who died in 254 A.H. Finally, the latter was succeeded by Al-Hassan bin `Ali called Al-`Askary who also died suddenly in 260 A.H. leaving behind a young 5-year-old son, Mohammed. Throughout previous years, separatist movements, which consisted of some of the Prophet’s Household and Persophils, would swear allegiance to the elder son of Al-Talibiyyun’s leader, starting with `Ali Al-Rida and ending with Al-Hassan Al-`Askary. Concerning the ascendants of `Ali Al-Rida, such as his father Musa Al-Kazim or his grandfather Ja`far Al-Sadik or his grandfather’s father Mohammed Al-Baqir, they did not assume the revolutionary leadership against Umayyad or Abbasid rule. However, after Al-Hassan Al-`Askary had died in 260 A.H., revolutionists got totally confused as to who is to assume leadership when Al-Hassan Al-`Askary left behind a young son. They even got more confused after the sudden death of that young son. This resulted in dividing such revolutionary groups into many sects each different from the other in terms of principles and ideas as well as even in laws and beliefs. The most famous among such sects is Ithna `Ashriyyah (Imamiyyah), now prevailing in Iran, Iraq and Lebanon. It is the biggest Shiite sect at present. The leaders of this sect started to add to Islam ideas that would work best for situations they are exposed to currently and that may ensure the continuation of their sect despite the absence of their leader. That is why this sect is called Ithna `Ashriyyah. Seeking to justify why the Imam succession came to an end, they claimed that the young child Muhammad bin Al-Hassan Al-`Askary has not died yet, and that, according to them, he has disappeared in a mountain cave and that he is still alive (over one thousand years now). They further claim that he will be back one day to rule the world. They also believe him to be the Awaited Mahdi (Righteous Imam). They also claimed that the Messenger of Allah (peace be upon him) bequeathed Imamate to those twelve names but Companions withheld such information. This is why they judge Companions in general to be disbelievers (however, some of them judge Companions to be only profligate) as they concealed such a bequeath. Influenced by the Persian system of rule, they introduced the inevitability of the monarchical system believing that the Imam must be the elder son of `Ali bin Abu Talib and likewise all succeeding Imams. As known to all, this notion is not Islamic at all. Even Sunni Islamic states based on a monarchical system, such as Umayyad, Abbasid, Seljuk, Ayyubi and Ottoman caliphates, never considered the monarchical system to be a part of religion or that ruling must be on a dynasty basis. Influenced also by Persia, they introduced sanctification of the ruling dynasty. Accordingly, they believed in the infallibility of the aforementioned Imams and thus considered their sayings to be as holy as the Qur’an and Prophetic Hadith. Moreover, most of their Fiqhi (jurisprudential) rules are even derived from the sayings of Imams, regardless of whether these sayings are authentically or falsely attributed to them. Furthermore, in his book “Islamic Government”, Khomeini, the leader of the Iranian revolution, stated, “One of the fundamentals of our ideology is that our Imams are higher in rank than devoted angels and prophets.” Hence, this explains their bitter hostility to all Companions (except for a few of them who do not exceed thirteen). They also show hostility to even some of the Prophet’s Household, such as Al-`Abbas (may Allah be pleased with him), Allah’s Messenger’s uncle, and his son Abdullah bin `Abbas (may Allah be pleased with him), the great scholar of the Ummah. Unarguably, hostility to these two figures and judging them to be disbelievers is due to the historical conflict between Ithna `Ashriyyah and Abbasid caliphate. Among their Bid`ahs also is that they consider most Muslim countries to be Darul-Kufr (House of disbelief). They also judge the people of Medina, Mecca, Egypt and Levant to be disbelievers, falsely reporting the Messenger of Allah to have said something in this regard and thus believe it to be a part of their religion. You can refer to such ideas in their original resources, such as Al-Kafy, Bihar Al-Anwar and Tafsir Al-Qummi, Tafsir Al-`Ayyashi, Al-Burhan and other books. Consequently, they do not acknowledge any Sunni scholars and all the authentic Hadith books, such as Al-Bukhari, Muslim, Al-Tirmidhi and Al-Nasa’i. They also deny the authority of Abu Hanifah, Malik, Al-Shafi`i and Ibn Hanbal. They also do not admit the excellence of Khalid bin Al-Walid or Sa`d bin Abu Waqqas, `Umar bin Abdul-`Aziz,, Musa bin Nusair, Nourul-Din Mahmoud, Salahud-Din, Qutuz and Muhammad Al-Fatih. As a result of their non-recognition of Companions, Successors and books of Hadith and Tafsir (exegesis of the Qur’an), they depended largely on sayings attributed to their Imams through very weak chains of narrators. Consequently, many abhorred Bid’ahs took place regarding their doctrines, acts of worship, transactions and other wakes of life. In this article, I do not intend to give a list of their Bid’ahs; actually, such a goal requires composing many books. I only refer here to the origin of the problem so that we may understand its consequences. However, it requires a lengthy talk to speak about such Bid’ahs as Taqiyyah (a dispensation allowing Shiites to conceal their faith when under threat, persecution or compulsion) and Raj’a (the second coming or the return to life of their Imams after death), viewing that the Qur’an was interpolated, misbelieving in Allah, Bid’ahs committed at the shrines, building such shrines in mosques, abhorred Bid’ahs committed on the anniversary of Al-Hussein’s Martyrdom and thousands of other Bid’ahs that became key pillars in religion according to Ithna `Ashriyyah. All that I have mentioned so far is only a part of the ideology of Ithna `Ashriyyah. However, there are several other sects that rose during the same period in history, especially during the period known in history as the period of “Shia Bewilderment”, which started as early as the middle of the third century A.H. following the death of Al-Hassan Al-`Askary (the twelfth and last Imam according to them). From this period on, literature and books that plant their ideology and doctrines were composed. Their methodologies spread widely in the Persian region in particular and in the Muslim world in general. However, till then no state was established to officially adopt such ideologies. Anyway, by the end of the third century and the beginning of the fourth century A.H., serious developments took place that led to Shia assuming power in some areas, which had serious repercussions on the entire Muslim Ummah. This is what I will deal with in the next article, if Allah so wills. However, I have to repeat the rule that “one cannot pass a judgment on something unless one has a clear conception of it”. Thus, if we are to take a decision regarding a specific matter or issue, we have to have knowledge about it first. In other words, we can judge something to be right or wrong or say that it is better to do so-and-so only when authentic information is available. Undoubtedly, judgments based of passions and on no study leads certainly to evil consequences. We ask Allah to glorify Islam Muslims. I really don´t understand that a historian like Crone can be " reasonably sure that the Qur'an is a collection of utterances that he (Mohammed) made in the belief that they had been revealed to him by God. " and "They (Quran verses) were collected after his death – how long after is controversial. But that he uttered all or most of them is difficult to doubt. " hello mundi ., unlike science subjects., there is/was a serious problem in exploring history of religions/faiths being a faculty member in an university across the globe. I have the answer and I will answer that question, which should not only fit for dr. Patricia Crone but many many academicians that worked in universities whose bread butter comes from teaching/exploring/publishing Islamic history for that matter early history of any religions/faiths. And tubes like that plus thorough reading of Quran and hadith is the reason why I say THERE WAS NO MUHAMMAD in Islam.. it is a mythical story that has been used by the warlords of middle East in the earliest time of Islam ..they did it all in the name of imaginative Muhammad and that is with in 100 years of Islam..
Saad D Abulhab Arabic type designer, librarian, systems engineer, author, and independent scholar of the history of Arabic language and scripts. Born 1958 in Sacramento, California, and grew up in Karbala and Baghdad, Iraq. Holds a Bachelor of Science in Electrical Engineering and a Master of Science in Library and Information Technology Sciences. Served for more than 30 years at the City University of New York, New York University, and the New York Public Library. A known Arabic type designer especially noted for his innovative, non-traditional, Arabic typeface designs. Contributes regularly to discussions of Arabic related topics on international typography and archeology forums. The earliest source to explicitly mention Muḥammad is the Miaphysite Account of 637. As the name indicates, the source was written in 637 CE, and was written by an eyewitness to the actual events. In this one-page note there is reference not only to ṭayyāyē, i.e., nomads living in Arabia, but also to Muḥammad, who is depicted as the leader of these nomads. The battle described in the Account of 637 refers to the Battle of Yarmūk, which occurred in August 636 south of Gabitha. Remember that Muhammad is said to have died in 632 CE. This means that only four years after his death his mentioned by a near contemporary, independent source. And this is the earliest source to mention him, not the earliest source to refer to him and the conquests. Additionally, we have a total of least eleven sources from the seventh and eighth centuries that attest the historicity of Muhammad. I only mentioned one. dear Mahgraye ..PLEASE GIVE THE LINKS preferably original ones .. .. just writing about whatever stories you have read on Muhammad is not really helpful on the historicity of Muhammad ..
Miaphysitism: Miaphysitism is a Christological formula holding that in the person of Jesus Christ, divine nature and human nature are united (μία, mia – "one" or "unity") in a compound nature ("physis"), the two being united without separation, without mixture, without confusion and without alteration. The term "miaphysitism" arose as a response to Dyophysite criticisms of Monophysitism. As Nestorianism had its roots in the Antiochene tradition and was opposed by the Alexandrian tradition, Christians in Syria and Egypt who wanted to distance themselves from the extremes of Nestorianism and wished to uphold the integrity of their theological position adopted this term Miaphysite to express their position. How do we know Prophet Muhammad actually existed? Muhammad is not completely a fiction of later pious imagination, as some have implied; we know that someone named Muhammad did exist, and that he led some kind of movement. And this fact, in turn, gives us greater confidence that further information in the massive body of traditional Muslim materials may also be rooted in historical fact. There is no doubt that Mohammed existed, occasional attempts to deny it notwithstanding. His neighbours in Byzantine Syria got to hear of him within two years of his death at the latest; a GREEK TEXT written during the Arab invasion of Syria between 632 and 634 MENTIONS that “a false prophet has appeared among the Saracens” and dismisses him as an impostor on the ground that prophets do not come “with sword and chariot”. It thus conveys the impression that he was actually leading the invasions…If such a revised date is accurate, the evidence of the Greek text would mean that Mohammed is the only founder of a world religion who is attested in a contemporary source. But in any case, this source gives us pretty irrefutable evidence that he was a historical figure. 2. A Syrian manuscript folio examined by W. Wright which dates to 636 AD (4 years after Muhammad died) mentions Muhammad and the Arab conquest of Syria. Documented in W. Wright, Catalogue Of Syriac Manuscripts In The British Museum Acquired Since The Year 1838, 1870, Part I, Printed by order of the Trustees: London, No. XCIV, pp. 65-66. 3. Another Syrian manuscript mentions Muhammad and the Arab conquests and this also comes from the year 634 AD – 2 years after Muhammad died. See W. Wright, C atalogue Of Syriac Manuscripts In The British Museum Acquired Since The Year 1838, 1872, Part III, Printed by order of the Trustees: London, No. DCCCCXIII, pp. 1040-1041. For example, an early Syriac source by the Christian writer Thomas the Presbyter, dated to around 640 – that is, just a few years after Muhammad’s death – provides the earliest mention of Muhammad and informs us that his followers made a raid around Gaza. This, at least, enables the HISTORIAN TO FEEL MORE CONFIDENT that Muhammad is not completely a fiction of later pious imagination, as some have implied; WE KNOW THAT SOMEONE NAMED MUHAMMAD DID EXIST, and that he LED some kind of MOVEMENT. And this FACT, in turn, gives us greater confidence that further information in the massive body of traditional Muslim materials may also be rooted in HISTORICAL FACT. The difficulty is in deciding what is, and what is not, factual. Mohammed is also mentioned by name, and identified as a messenger of God, four times in the Qur’an… We can be reasonably sure that the Qur’an is a collection of utterances that he made in the belief that they had been revealed to him by God. The book may not preserve all the messages he claimed to have received, and he is not responsible for the arrangement in which we have them. They were collected after his death – how long after is controversial. But that he uttered all or most of them is difficult to doubt. Moreover, an Armenian document probably written shortly after 661 identifies him by name and gives a recognisable account of his monotheist preaching. Sebeos was writing the chronicle at a time when memories of sudden eruption of the Arabs was fresh. He knows Muhammad’s name and that he was a merchant by profession. He hints that his life was suddenly changed by a divinely inspired revelation (see R. W. Thomson with contributions from J. Howard-Johnson & T. Greenwood, The Armenian History Attributed To Sebeos Part – II: Historical Commentary, 1999, Translated Texts For Historians – Volume 31, Liverpool University Press, p. 238). He presents a good summary of Muhammad’s preaching, i.e., belief in one God, Abraham as a common ancestor of Jews and Arabs. He picks out some of the rules of behaviour imposed on the umma; the four prohibitions which are mentioned in the Qur’an. Much of what he says about the origins of Islam conforms to the Muslim tradition. Then God raised up against them the sons of Ishmael, [numerous] as the sand on the sea shore, whose leader (mdabbrānā) was Muḥammad (mḥmd). Neither walls nor gates, armour or shield, withstood them, and they gained control over the entire land of the Persians. Yazdgird sent against them countless troops, but the Arabs routed them all and even killed Rustam. Yazdgird shut himself up in the walls of Mahoze and finally escaped by flight. He reached the country of the Huzaye and Mrwnaye, where he ended his life. The Arabs gained control of Mahoze and all the territory. I see that you created an entire room for Mecca, Yeezevee. Yes, Stop Spamming was not very well informed. He is right in saying that the Muhammad of the Sira did not exist (oversimplification). And his claims about the some early Quran manuscripts were ridiculous and just not true. Even his comments about Gerd Puin were factually wrong. Stop Spamming should learn something about Quranic Studies instead of spreading conspiracy theories. Stop Spamming was not very well informed. He is right in saying that the Muhammad of the Sira did not exist (oversimplification). And his claims about the some early Quran manuscripts were ridiculous and just not true. So why didn't you contact and educate me? I welcome corrections if I am in error. Even his comments about Gerd Puin were factually wrong. Stop Spamming should learn something about Quranic Studies instead of spreading conspiracy theories. Again: correct me if I am wrong. I suggest that if you have a problem with what someone says you contact them and talk about it, instead of flinging mud elsewhere.